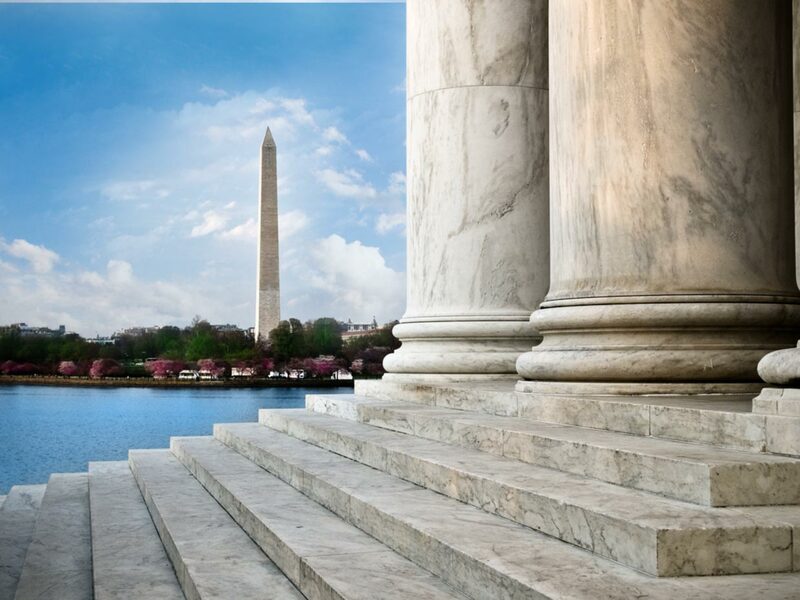 Our mission is to help government contractors succeed. We take great pride in providing our clients peace of mind, value and a path to growth. Here are what a few of our clients wished to share about our work. Stephanie has provided invaluable support in the area of contract management. Her vast experience with government contracting allows her to quickly and efficiently respond to questions about contract language or interpretation. She brings any possible discrepancies or risks for Red Canyon to our attention. She is an advocate for our company's rights and obligations under each contract and can foresee potential issues with conflicting or vague contract language, allowing us to address them ahead of time. She has helped us tailor multiple subcontract templates including creating terms and conditions and prime flowdown documents appropriate for each contract, which ensures we are fulfilling our contractual obligations. Michelle has provided fast and reliable Quickbooks support for technical issues, adjusting entries, and has developed custom reports to assist with contract management. She has found creative solutions to keep our A/R systems clean and accurate. Michelle guided us through our SIP setup upon award of our GSA schedule contract, and provided instructions on the reporting requirements of the contract. She also acts as a contract controller for Red Canyon's books, assisting us to keep them in accordance with FAR regulations. Julie was critical to our team in guiding us through the GSA proposal process including getting a proposal submitted in record time. She also successfully helped us in negotiating with the GSA and getting on the GSA schedule 5 months after submitting our proposal. Arrowhead delivered all of these results at less cost than the competing bids that we received. Julie has also helped us implement best practices for B&P preparation (requirements matrix, templates for SBIRs/STTR). Arrowhead provided assistance in creating a special invoice template for a new contract when it was determined that our current accounting software could not produce an invoice with the customer's requirements. Further, Arrowhead has helped us get through two rigorous DCAA audits. Red Canyon has even used Arrowhead's HR support services. Arrowhead is an invaluable asset to Red Canyon! Timothy J. Mattimore, Jr., Head of Legal North America and Corporate Secretary, Vaisala Inc.
- Corporate policy and procedure creation and management." "Arrowhead Solutions provided our company with expert advice and guidance to help us through situations with government contracts and accounting. Arrowhead clarified issues, provided prompt advice, and understood well the constraints of a small business. 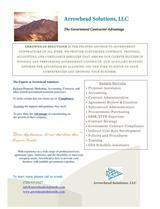 I would recommend Arrowhead Solutions to any small business government contractor looking for as-needed assistance." Michael Usrey, Vice President of Sporian Microsystems, Inc.
"If you're small business wants to win government contracts, then you need to have Arrowhead Solutions help you deliver a perfect proposal. They fill the gap most small companies can't afford to fill: due diligence, GSA numbers and estimates, and proposal preparation. The company combines skill, speed and superior organization to ensure your bid arrives on time and on point to secure your next contract." "In my many years of experience at all levels of government contracting, I've known few people with her aptitude and keen mind and talent to work problems and solve complex issues in this field. In every respect, she (Stephanie) is a superstar." "Arrowhead helped us understand our first DARPA contract. Stephanie Amend provided invaluable service in helping us negotiate and sign our first government contract. We would have been completely lost without them. Their fee was quite reasonable, too."